20% OFF at Glitter My Party: The Shop! Let’s. Get. Lucky. 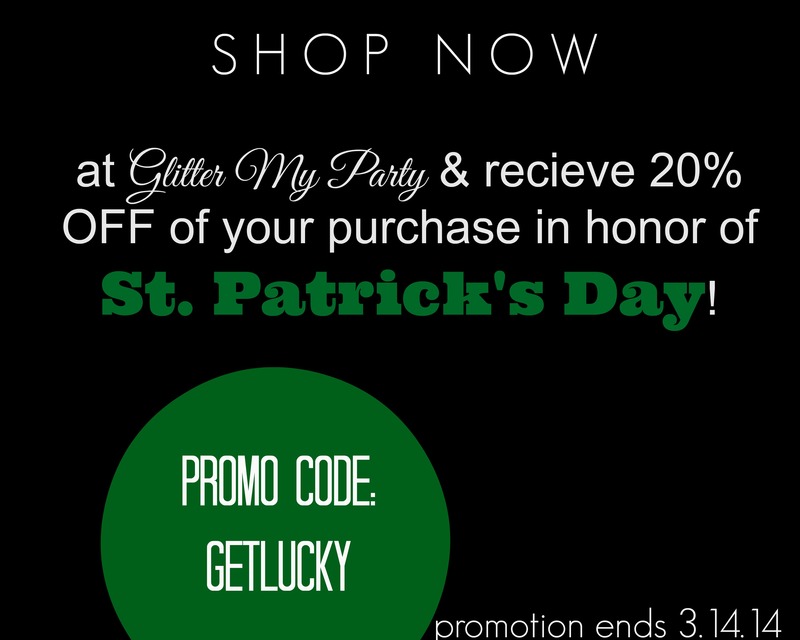 In honor of St. Patrick’s Day Glitter My Party: THE SHOP is offering 20% off of your purchase! Just enter the promo code: GetLucky at checkout to receive your discount. Click http://glittermyparty.storenvy.com/ to check out our featured party decor, favors, and more. And if you haven’t checked out this month’s giveaway for a free party, click here to see the details and rules.